I usually really look forward to the day before Halloween. 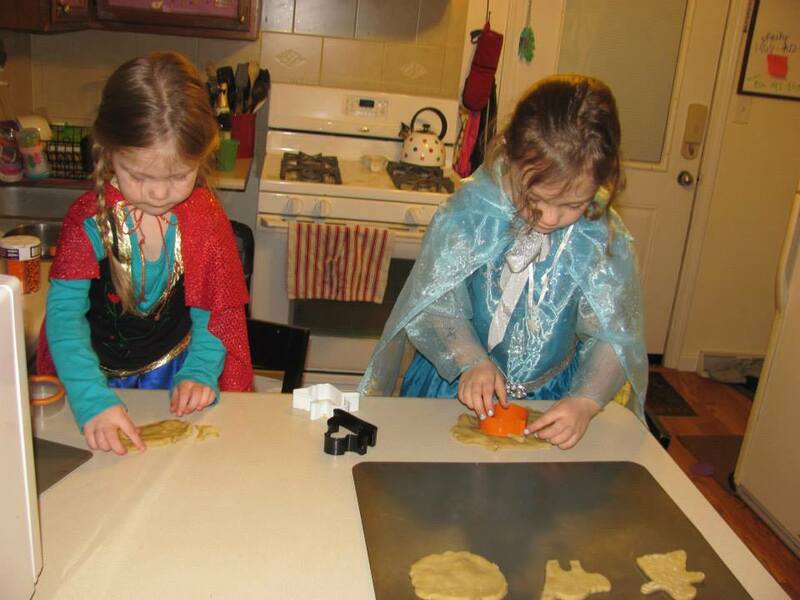 We usually carve the pumpkins that we picked from the pumpkin patch, make some super yummy Halloween themed goodies, and finish up on our costumes. 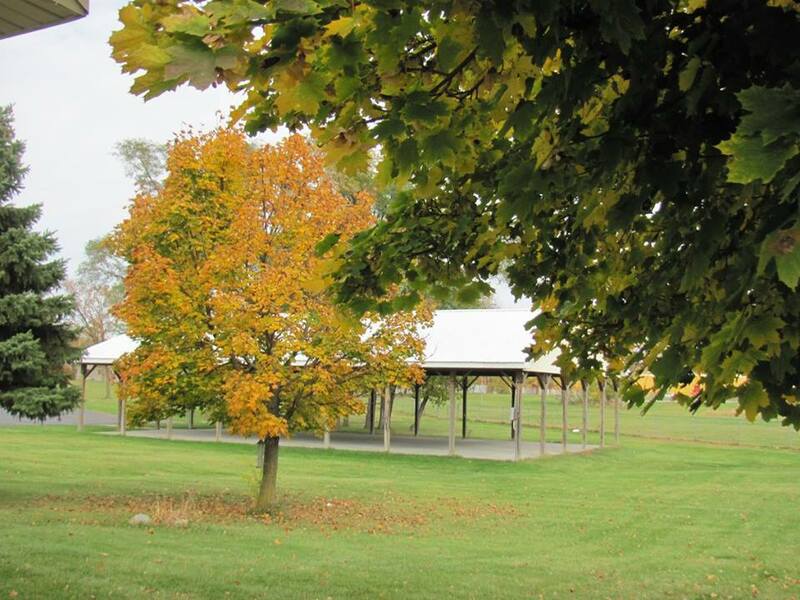 There are also a lot of activities around town that we can take the kids to. 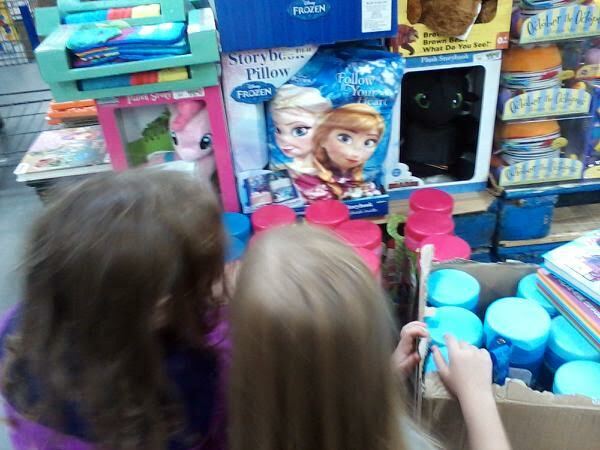 Last year, we were able to take them to Kroger for their Kids Night Out. They have games, coloring sheets, cookie decorating, and of course trick-or-treating. Here are some snaps from last year. 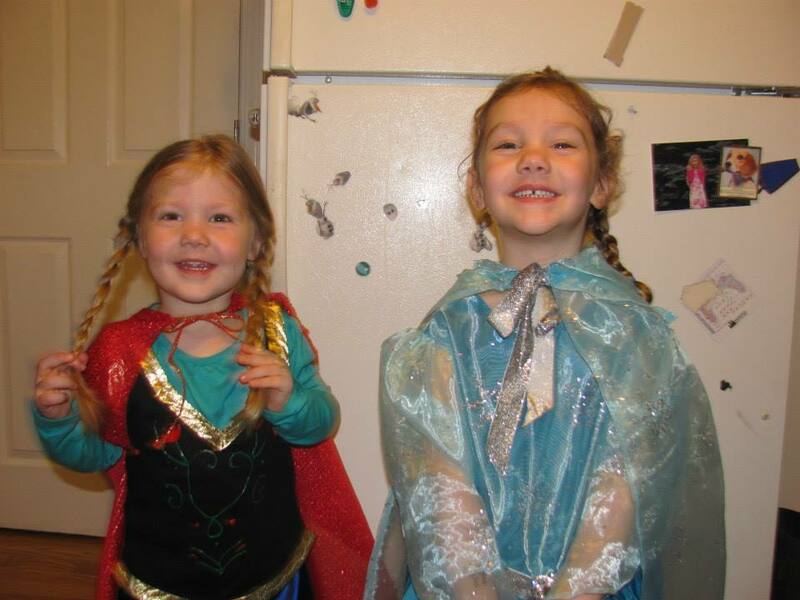 They were just the CUTEST Elsa and Anna in my opinion. Harper was dressed like Olaf, but she was still so itty bitty that I kept her at home. Snow.. 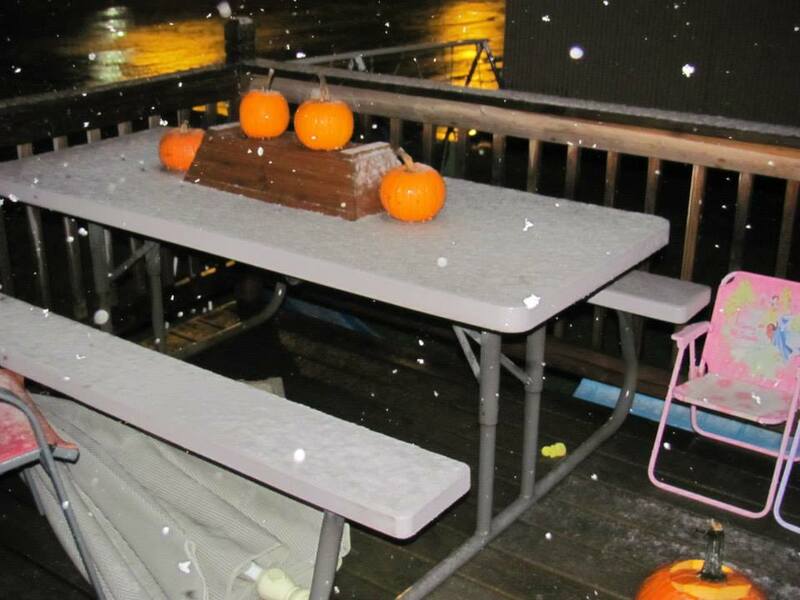 It snowed on Halloween.. It snowed quite a bit and stuck for the night. Thankfully, by morning it was gone! Let’s hope that does NOT happen this year. Ok. This year, my Halloween Eve involves a MOUNTAIN of laundry and a lot of lysol spraying. We haven’t even made it to our own pumpkin patch because we were out of town the first week of October, and have had someone sick every day since then. Addison seems to be on the upswing. She has not been sick since yesterday morning, so I stripped everything that was fabric from their bedroom and it is getting washed AGAIN. I feel like I am “nesting” and am cleaning out my cleaning supplies and all sorts of other crazy things. I think we’re all just going stir crazy. She still had other issues yesterday, so we are staying home still. Plus, Kids Night Out happened on Tuesday. I was so sad. However.. You guys, your children are contagious for 24 hours after they are “better”. Please keep that in mind.. it’s really unfair to expose everyone else to their sickness. It’s unfair that she has missed out on so much, but it’s even more unfair to put tiny babies and chemo patients at risk of dying all because of a little fun. I get really irritated by that EVERY year, so consider that my rant. I hope that you have a fun and SAFE Halloween weekend! 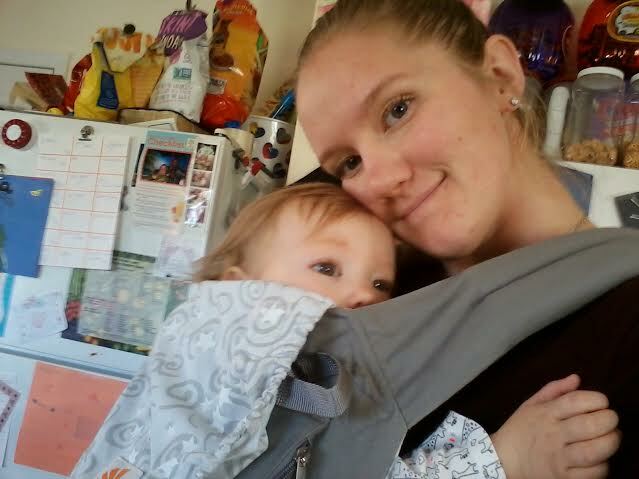 I never expected to have a kid so sick right after launching a “new” blog. My time is spent doing a lot of laundry, scrubbing a lot of carpet, and desperately trying to stay on top of everything else. She is currently asleep on the floor with her new unicorn (her request) and I have a little time. I am really only getting out when I run to the mailbox very quickly. 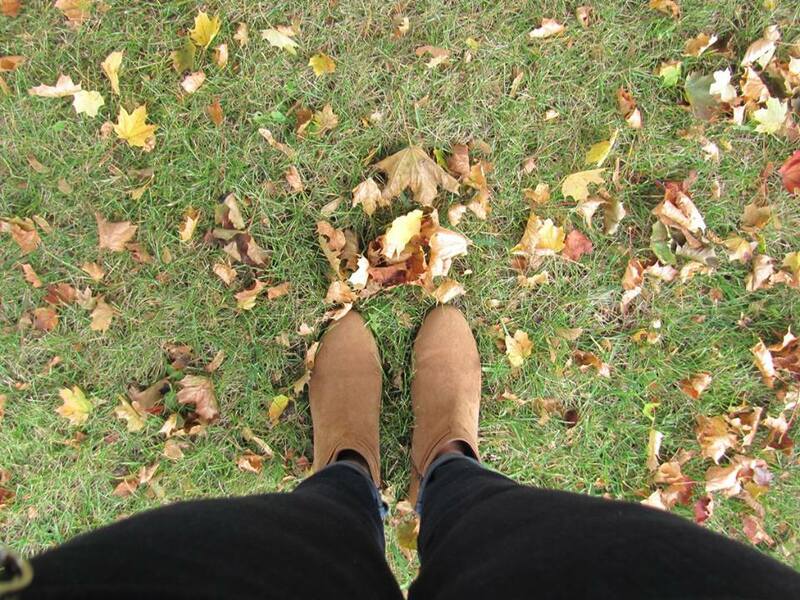 It’s a huge bummer, because the weather is classic autumn weather- my favorite. I got out today to take Addison for her 4-year well visit at the pediatricians. We are going back when she is better for a re-do because she has probably lost a ton of weight and couldn’t get vaccines since she is sick. Anyway.. I grabbed my camera one day on the way to the mailbox because the leaves were pretty. There are so many more bright yellow leaves that have been blown off the tree thanks to Patricia making it’s way up here. I love seeing the ground covered in such bright colors, so I will have to take a new picture. I love my ankle booties. I got them from Old Navy when they were on sale and I had a really great coupon. Unfortunately this color is not available online, and the sale is over. The back is a faux leather, and the main portion of it is faux suede. Faux suede is AWESOME because you don’t have to treat it to prevent water stains. I don’t have any black boots, so I am drooling over this pair right now. They come in olive green, too! I love that they are actually rain boots. It gets pretty sloppy here in the winter, so water-proof is a MUST. These are also really cute and at a lower price-point. I have some Old Navy Cash that is burning a hole in my pocket. But, I am exercising self-control and sticking to online-DROOLING only. What are your favorite boots? I wasn’t really into the ankle bootie trend at first. They slip on SO easily and are really versatile. Do you like the over-the-knee boots? 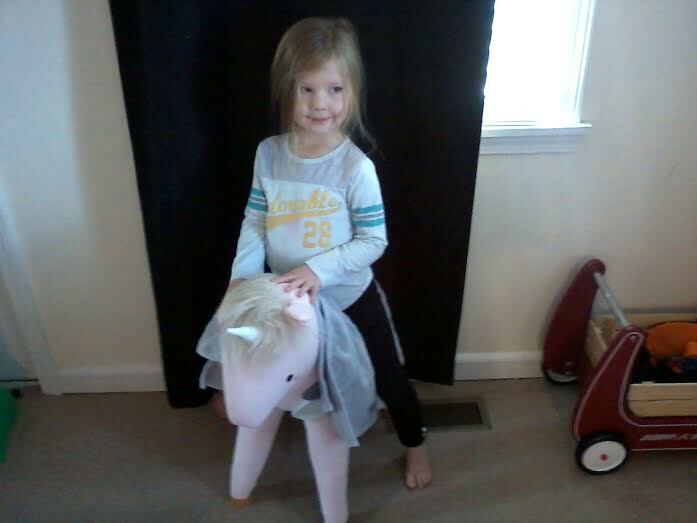 T his little unicorn-rider is FOUR today!! Addi is also horribly sick, so this update is SHORT. I’ll do a more detailed one when (IF) everyone is better. I am so proud of the person this little girl has become. Please forgive the terrible quality of my cell phone picture. HA! Wow. What a weekend. Where did it go? I don’t think it is ever long enough. I got to spend a glorious Friday out by myself doing some grocery shopping. Really, it’s glorious going alone. Then, I took the older two girls to Sam’s Club. I’m a cool mom like that. We picked up a pizza for our traditional “Pizza and a Movie” Friday evening. Then, we stopped at Family Video to pick out some movies. If you didn’t know, they have TONS of free kids movies. I let each of them pick out two movies. We have been stuck in our house for almost two weeks now. Harper has had some sort of stomach bug. That seems to be gone, but her fever and fussiness are not. Yes, I know she COULD be teething, but her fever is also too high for that. She’s been to the doctor and they couldn’t find anything. “It’s just a virus, mom. Gotta let it run it’s course.” Thankfully, she has a well visit on Tuesday so we can have her checked again. Tired doesn’t even begin to explain it. Saturday, Scott had a lot of things to do at the church. We hung out at home watching our rented movies and rearranging furniture. 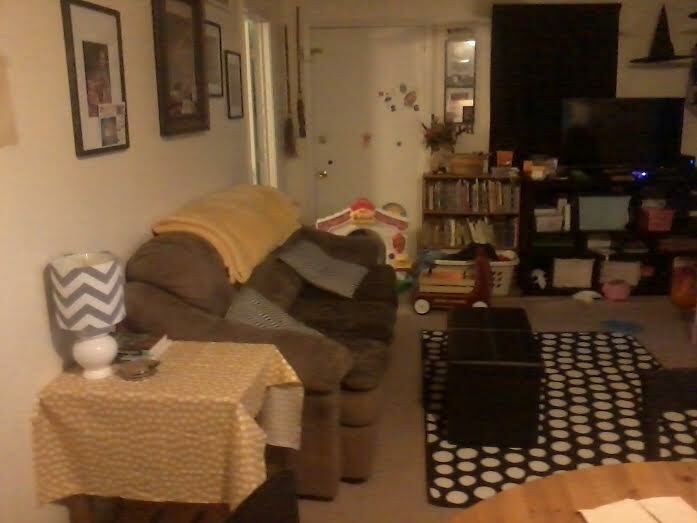 I drive my husband nuts with how often I want to rearrange. But, really, it’s the best way to clean!! T his was mid-rearranging at night. 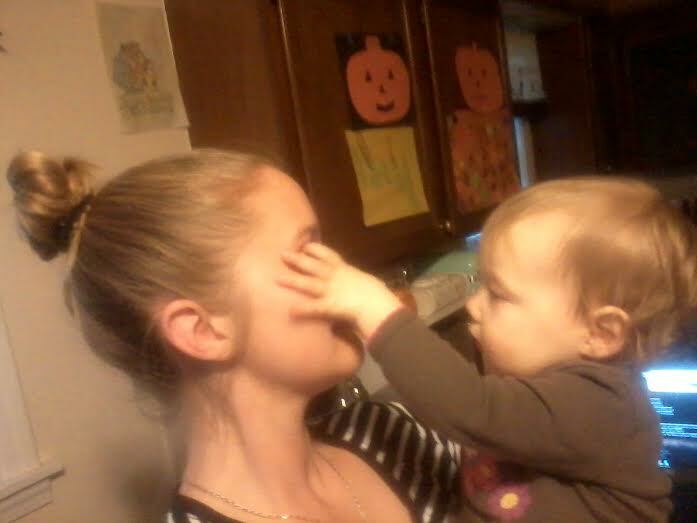 On Sunday, I was helping to get the older girls ready for church. Addi came up to me and said “My tummy hurts.” I think you can guess what happened next… She was so upset to have to stay home from church. I almost cried when Scott and Chloe came home and told us that they had a birthday party for Addi. They even sang happy birthday without her there. She is still sick today, and tomorrow is her birthday. “Mr. Jeff” is her VERY BEST FRIEND. She adores him because he has a cool key for his car. haha! She has been saying for MONTHS that she wanted him to come to her birthday party. He has been planning all along to come celebrate with her. Her little heart broke today when I told her that he wasn’t going to be able to come since she was sick. I am determined to make this week fun, even though ALL of them are sick now. They are so worried about Halloween being ruined. I told them that even if they are sick for Halloween, we will make it special. I’ll find little games to play and cut their toast into special shapes if nothing else. I hope that you all have a fun and exciting week before Halloween! Hi! 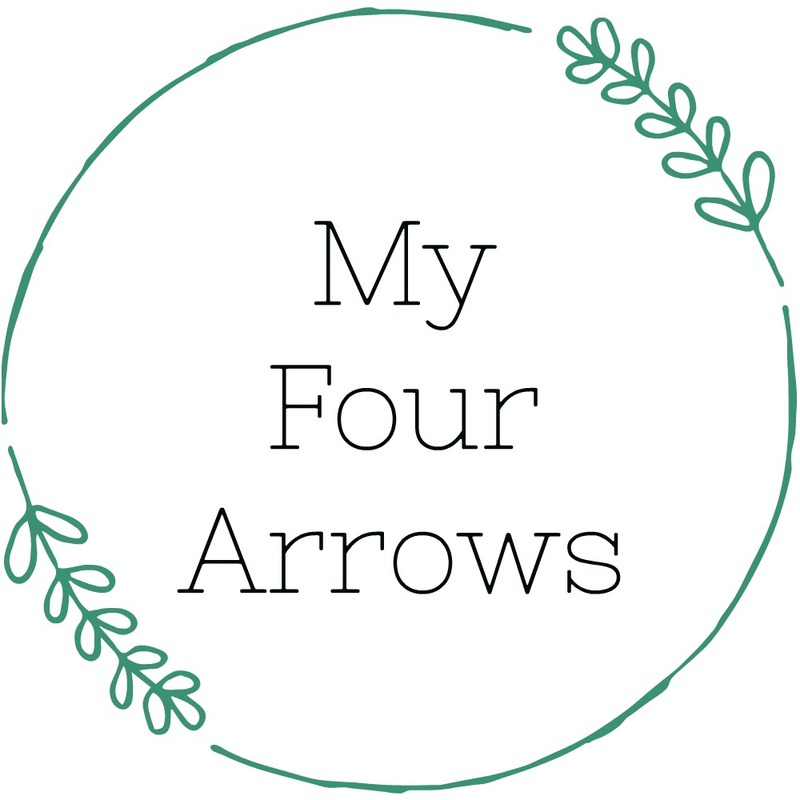 I have been blogging over at fourarrowsfarm.blogspot.com for several years. I keep hearing rave reviews about WordPress, so I thought that I would give it a shot! I really enjoy blogging; both reading them and writing my own. For those who don’t know me, I am Ashley! I am a youth pastor’s wife. 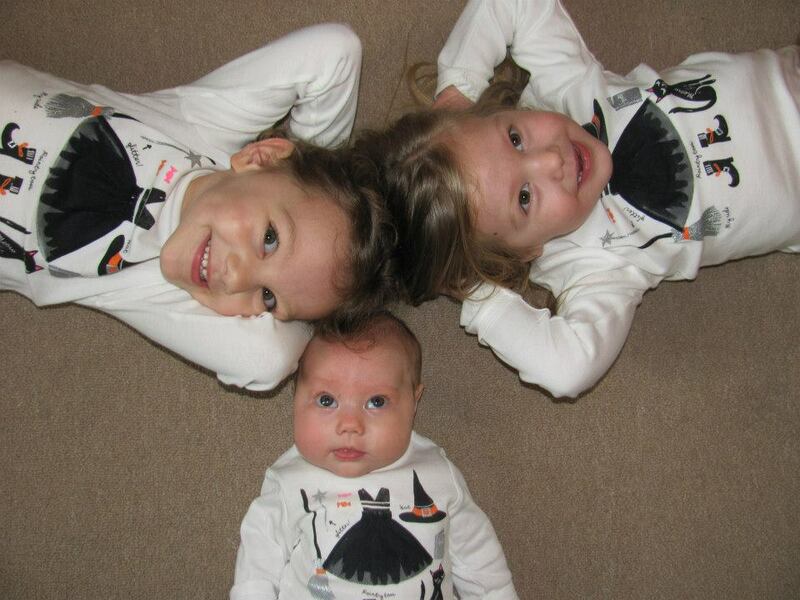 I have three beautiful little girls who are 5, just days from being 4, and 15 months. I also have a sweet baby, Quinn, that I cannot wait to meet in heaven one day. I LOVE coffee- both iced and hot. I am a new food allergy mama, so I am learning all about cooking all over again. 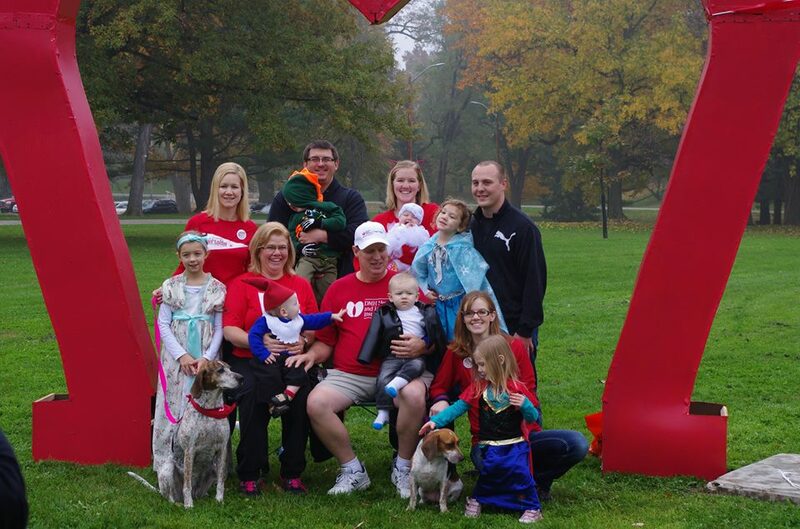 Today is the annual Heart Walk for Central Illinois. We have made it a point to be at it every year. My dad is a survivor. He had open-heart triple-bypass surgery 5 years ago, and a stroke 4 years ago. It’s near and dear to our hearts. My dad is also a prostate cancer survivor. My family has had a pretty terrible year. It’s been a lot of scary diagnosing and treatments. Anyway, he is a S-U-R-V-I-V-O-R!! So, he and my mom are currently boarding a plane to go on a week long cruise. So, there is no bitterness about not being there at all! It’s such a celebration!! 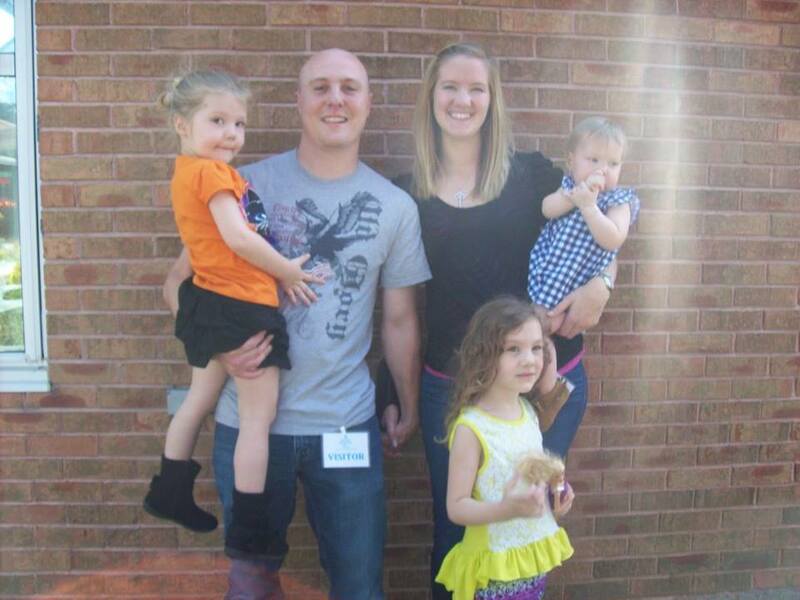 Just for fun, here is our family picture from last year!! We are only missing my newest nephew and my brother-in-law, Peter. It was so much fun to have us all together.